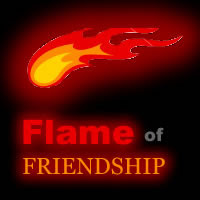 Got tagged with this Flame of Friendship by Juliana (Pinay WAHM). Thanks for this tag sis. Tiklaton: We are the witness.